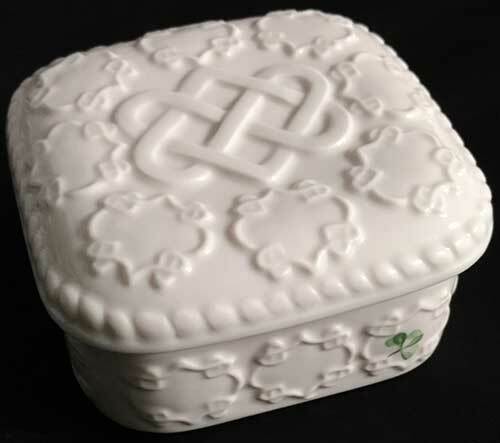 The Belleek Love Knot Trinket Box is the 2019 Edition Piece and it includes an exclusive trade stamp along with the personalized signature of its designer, Claire Rowe, located on the bottom. This Belleek box features an embossed love knot on the lid along with a repeated Celtic heart design on both the lid and sides. 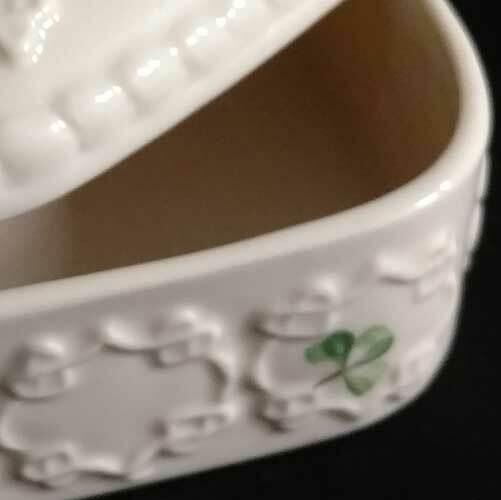 The Belleek China box is further enhanced with a hand painted green shamrock along with an embossed braid border on the lid. 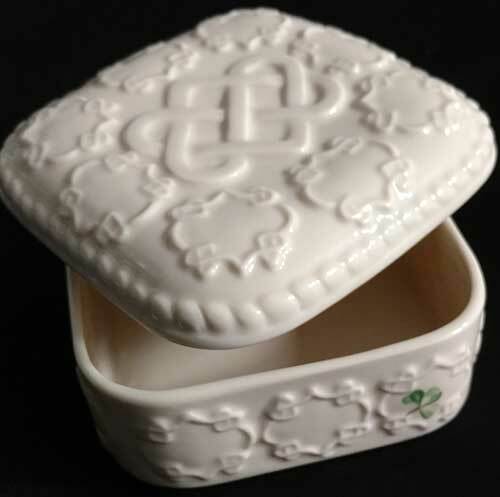 The Belleek love knot box is made of fine china and measures 3 3/4" wide x 3 3/4 long x 1 3/4" tall. The Irish box is suitable for trinkets along with jewelry and keepsakes.